This story was updated Sept. 14, 2018, at 5 p.m. with more information. Throughout the week, when the trial testimony became too intense, or when the prosecution talked about the knife wounds to Ashley Cates' neck, chest and legs, some of her family and friends closed their eyes and plugged their ears. But they were listening Friday when a Hamilton County jury returned a first-degree murder verdict against Tyrone Murphy, sending him to life in prison for stabbing the 30-year-old Cates more than 15 times in her Highland Park apartment in June 2017. "I don't think anyone ever feels fully justified in situations like this because you don't get your loved one back," said the victim's brother, Matthew Cates, 33, after the verdict. "It doesn't matter what happens to Tyrone, it doesn't bring Ashley back. But we're thankful the system did what it's designed to do." Matthew Cates was one of the roughly 20 family members who watched from Tuesday to Friday as prosecutors tried Murphy in Hamilton County Criminal Court. Using a combination of forensic evidence, witnesses and investigating officers, prosecutors said Murphy killed his neighbor at the 1512 Bailey Ave. apartment because she rebuffed his advances, then tried to cover his tracks to make it look like a robbery. Murphy testified Thursday that he acted out of self defense. He said he returned from work at Sticky Fingers in downtown Chattanooga, climbed the stairs to his second-story apartment and saw Cates rush out of her room with two knives in one hand, her "hair bushy, eyes big." Murphy said he didn't know why she attacked him. But he admitted to killing her during the struggle and said he cleaned the blood and never reported the incident because he was nervous and distrusted police. 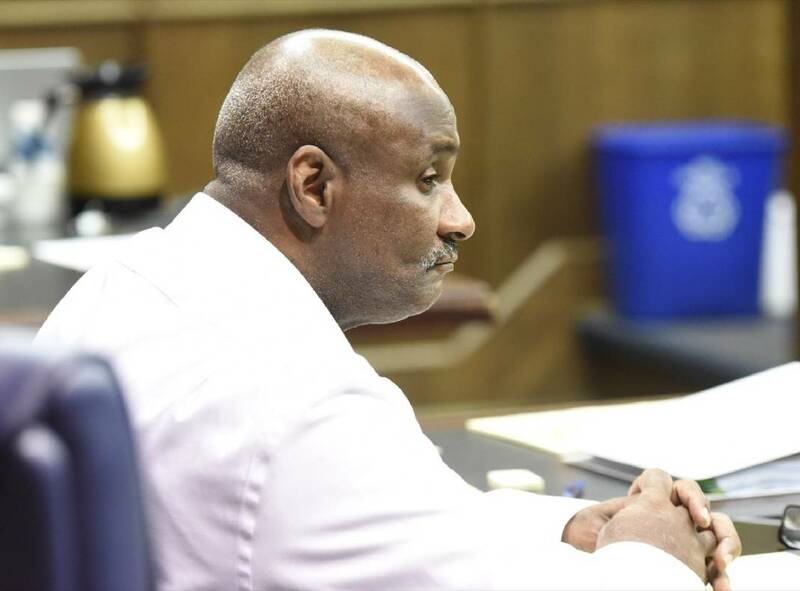 In closing arguments Friday, Murphy's public defenders said he wasn't acting with premeditation because of the "incomplete nature" of his crime scene clean-up, and they pushed for a verdict other than first-degree murder. But prosecutors said the proof didn't support his self-defense theory. "What does the evidence show?" asked Executive Assistant District Attorney Cameron Williams. "How many wounds does Ashley have? I've tried to count and I can't. Stab wounds. Bruises. Superficial cuts. On her arms, on her legs, on her chest, on her neck. He's got two lacerations on his right hand." In total, jurors took just under an hour to reach their verdict. As the foreman announced it, some of Cates' family and friends let out a sigh of relief. Murphy walked past the jury without making eye contact, headed for a holding cell.